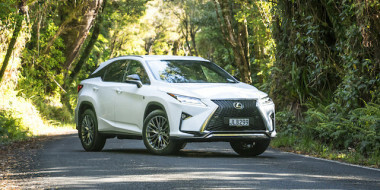 Lexus’ first attempt at a sports model to get up the noses of go-fast German rivals was the IS F Sport, a small sedan that arrived in NZ in October 2008 priced at $137,000 and running a revvy 5.0-litre V8 engine driving the rear wheels via an eight-speed gearbox. Ride/handling was poised and accurate on smooth surfaces but not so good on broken ones, where even patchwork irregularities could unsettle it. A highlight on the track was the excellent stability control, less invasive than most rivals. Production ended last year after 12,000 examples. 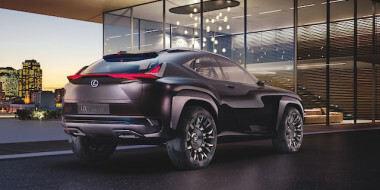 Lexus’ second serious attempt to upset luxury sporty rivals – which now includes Britain’s Jaguar F-Type – offers similar behaviour using largely the same IS F Sport platform. The Lexus RC F is a two-door coupe running a heavily reworked version of the sedan’s 5.0-litre V8 engine, complete with the Atkinson cycle for improved fuel efficiency at cruising speeds. It’s a stylish design, a 280km/h flyer with a body that is perhaps too puffy in parts, a hint to its kerb weight of 1840kg – roughly 200kg heavier than the BMW M4 and 185kg than the Jaguar F-Type. The weight is a cross to bear on the car’s low-profile tyres, where the RC F wants to ignore the helm and follow the contours of badly surfaced sealed roads: classic tramlining. 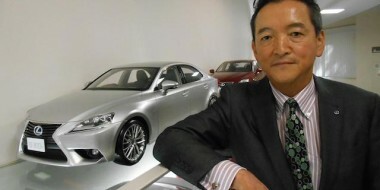 Like the IS F Sport, it’s more self-assured on good seal, precisely the surface it was built for. That’s where the RC F excels, especially when you get the V8 working between 4000rpm and 7000rpm with the eight-speed shift paddles. The 0-100km/h sprint time is a claimed 4.4 seconds. The limited-slip differential helps things along but the stability control isn’t as forgiving as the lighter IS F Sport. The car rides on a double wishbone front suspension and a multi-link rear. 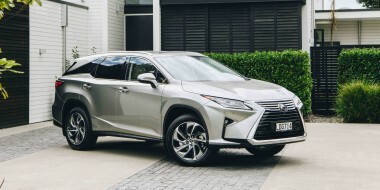 It’s a firm set-up that allows the chassis to pretty much cope with everything you throw at it, although its components get busy at times to harness the car’s bulk. 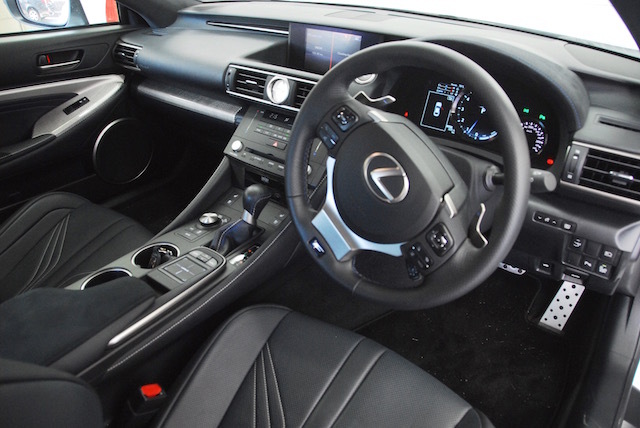 Inside, the RC F is all Lexus, finished beautifully throughout with the best of materials but littered with buttons and switches and electronic stuff. What appears on an infotainment screen is controlled by the touchy-feely pad on the centre console. A rotary knob does a better job. There are four driving modes – Eco, Sport, Sport + and Manual. The optional torque vectoring system (a $5000 electronic diff) has Normal, Slalom, Track modes. There’s Expert, too, which shuts down the driver-assistance aids, like traction control. Expert is what could be called the Michael Schumacher mode. “If you are as good as me leave traction control off; if you’re not leave it alone,” he once said.